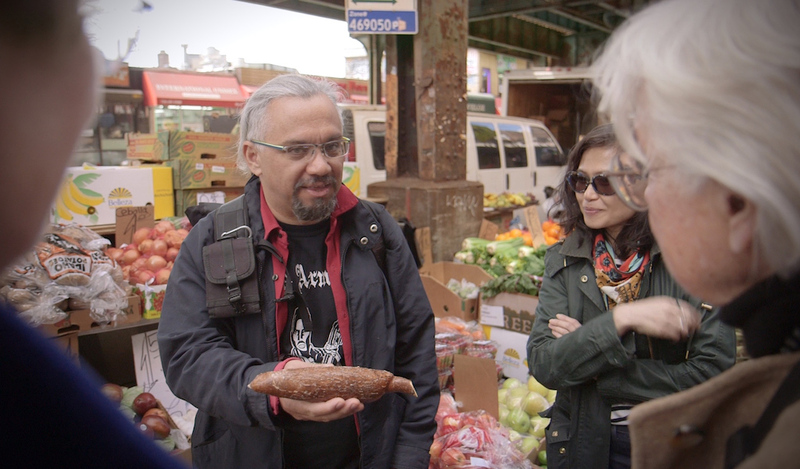 CB has teamed up with the creators of “Native Dish: United Flavors of NYC,” NYC Media’s new food TV series, to offer a behind-the-scenes look at some of the New Yorkers featured in these short videos. 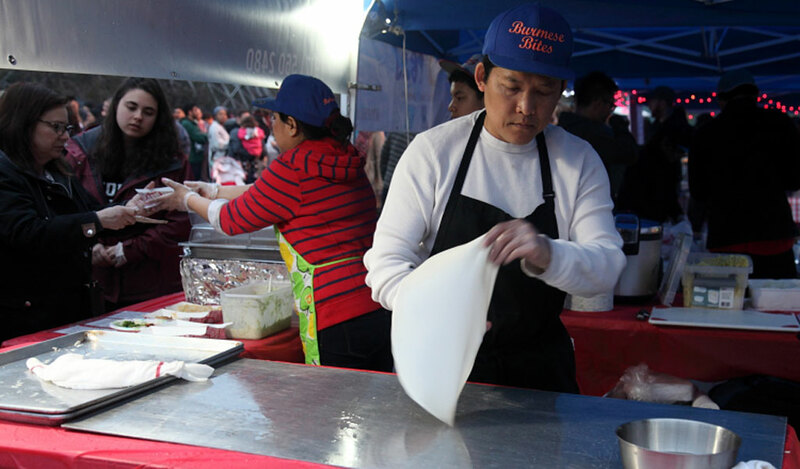 The series, which aims to celebrate New York City immigrants from all over the world, focuses on one individual and one dish at a time as a means through which to explore the myriad cuisines represented in the city and the people who make them. While each episode features a general overview of the participant’s life story, particularly as it relates to food, we are expanding that narrative by providing the full interview transcript, albeit condensed and lightly edited. It’s their story, in their own words. 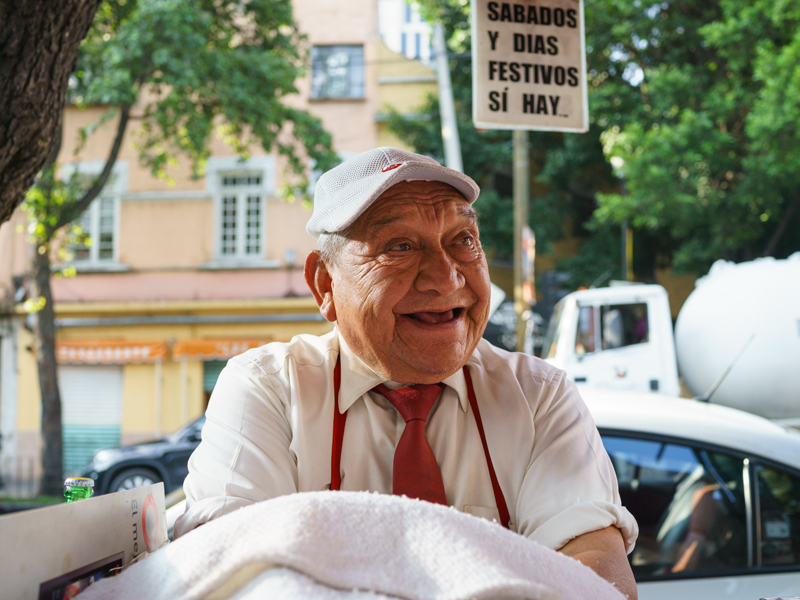 To kick things off, we are spotlighting Esneider Arevalo, our Queens walks leader, and his family recipe for traditional golden arepas, made from freshly ground and soaked cracked hominy corn. I’m originally from Colombia, from the area of Medellin. My family is from La Estrella, which is right nearby – I partially grew up there, at my grandfather’s farm. I migrated to the United States in the late 1980s and have been living in Jackson Heights, Queens, for the past 30 plus years. I’m Paisa, which is a people from the Paisa region in northwest Colombia, which is mostly known as the coffee-growing area. We are part African descent, part Indigenous descent, and part European, mostly Iberic descent [what’s now Spain and Portugal]. And in the early days, there was a culture [in Paisa] of the Arrieros, people who – before there were roads – used mules and horses to bring merchandise back and forth across the central part of the country. They were the driving force behind commerce in this area, and eventually became a merchant class. It’s also a matriarchal society – women used to be more in charge, historically. So the Paisa culture is slightly different than that of the rest of the country. 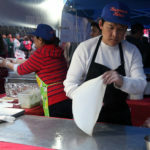 The basis of the Paisa diet is the arepa, the cornbread that you have with breakfast, lunch and dinner, as well as cargamanto beans – cranberry beans – which are cooked for lunch and/or dinner, rice, and then a variety of vegetables: lots of yucca, potatoes, cabbage, salads – things like that. I grew up eating really good foods, and drinking the best coffee, because my grandfather grew his own coffee, and he would save the best of his coffee for us, for the family. I can credit my grandfather and the fact that we grew up on the farm, and that, in Colombia at the time, a lot of our food came directly from farmers. It was fresh, it was really high quality, it was organic, but we just didn’t know it. One of the things that I tell people to start differentiating Colombian food and Paisa food from other Latino foods is that people think of Latino food as one single, global thing. For example, we don’t eat spicy foods. Colombians in general don’t, and Paisas in particular don’t. 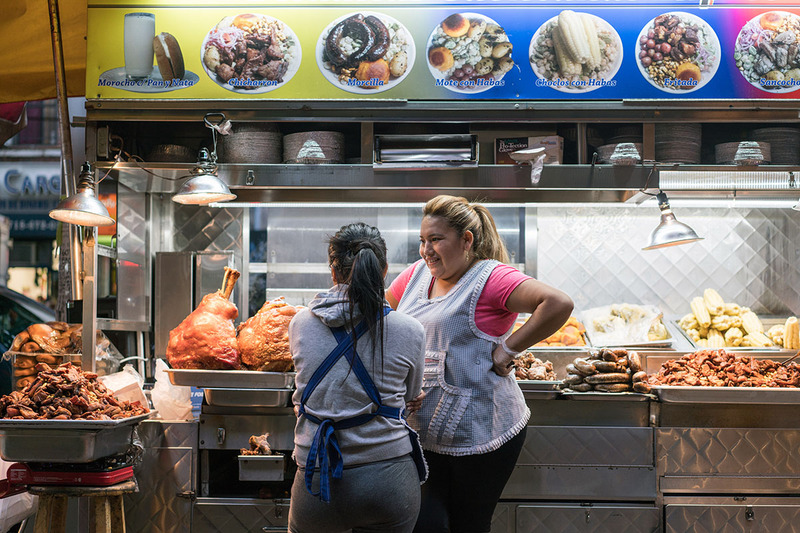 In New York City, the most common food that people know as Colombian food is actually Paisa food – the staples of the Paisa diet, like arepas, beans, rice, chicharrón (the big pork belly slices). There are a lot of reasons Colombians leave: there is violence and a lack of opportunity. On the positive side, there is also a desire to see other places, to learn other languages, which is good. But there was a lot of political violence and then drug violence that was kind of like this grey cloud always hanging around us – you know we have been in a war now for close to 70 years. There is a certain air of not being safe on a day-to-day basis, and a lot of times, that pushes people [to leave]. That’s enough. You don’t have to be a direct target of any one armed group. For me, personally, I was graduating from high school, and kids from my school were picking different factions of the war [to support] and I decided that I didn’t want to join anyone, I didn’t want to join the army or the paramilitary service – I didn’t want to be part of a war I don’t agree with, and so I decided it was time to go. Actually, I didn’t want to just pick up and go to the United States. It was kind of forced, even though people think everybody wants to come. And I am grateful, I’m doing great here, but it wasn’t in my original plan. When I came, naively and optimistically, I was saying, “Now I’m going to be in the United States for a year or two, and then things are going to change, and I’m going to go back.” And then a year becomes two, and two become four, and then you start growing roots here. I originally went to Mexico with the intention of staying there. But at the time Mexico had signed the initial work for the North American Free Trade Agreement. So there was no way I was going to be able to get documented there. Then I headed north and jumped the border. I came into the United States through Arizona, and I was detained by Immigration when I entered the country; I was in detention for a while. For various reasons, I was undocumented for about 14 years. Then I got married to an American citizen, who is my wife, she’s really amazing, and her family was just so supportive, and had to do a very protracted battle to get a green card. It took three and a half years until finally my deportations were closed and I was given legal status. After I gained my green card, after 3 years, because I’m married to an American citizen, I was able to apply for my citizenship, at which point they reopened all of the original cases, so I had to fight them all over again, which was quite a nightmare. And then I became a U.S. citizen. My mom had already come to New York City a year and a half before I arrived in the States. You go to where family is, so I came and I rejoined them here. And one of the reasons I stayed in New York, to be completely honest, is because I don’t feel culturally isolated. There is a community here. I can walk across the street from my house and buy just about anything I want from Colombia. Or anywhere in the world for that matter. When my mom came to the United States, she couldn’t find work as a lawyer. So she started working with somebody as a street vendor. Then she branched out and began making arepas, and she was doing them really well. She didn’t have a license, but was quite successful in the neighborhood. She became really popular with a lot of immigrants – she was a substitute mom for people on their own. They would sit down and tell her their troubles. 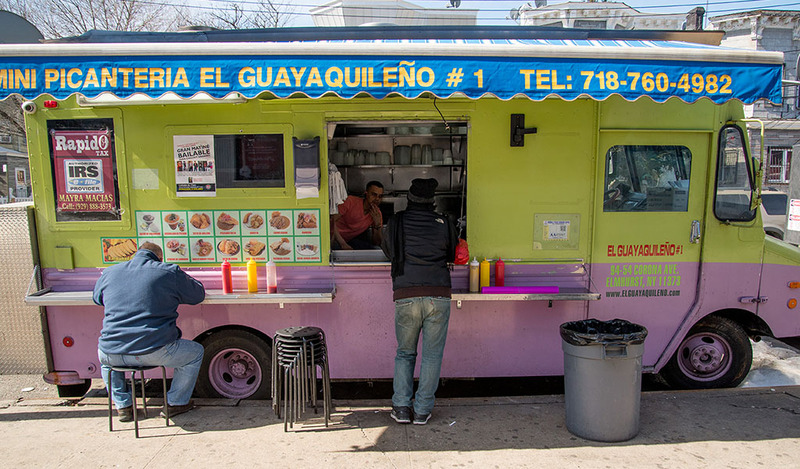 And then, all of the sudden, people started talking about arepas and, not only arepas but also about other street foods and vendors in Jackson Heights. I think she was quite a force and a very important component to New York, Colombian food and street vending more generally. It’s very symbolic – the American dream of the immigrant pulling themselves up by the bootstraps, so to speak. My mom likes my arepas, but we make fun of each other about how we make them, because I like them coarser – more rustic – while she makes them fancier and more shapely. Arepas are very simple. It’s a blank canvas, like a tortilla. This is a staple food for us, but there is not much to an arepa if you eat it by itself. It’s like bread – you don’t just eat bread. So it’s everything else you put on it. And my mom, she put this food on the map. I have been working with Culinary Backstreets for a year. 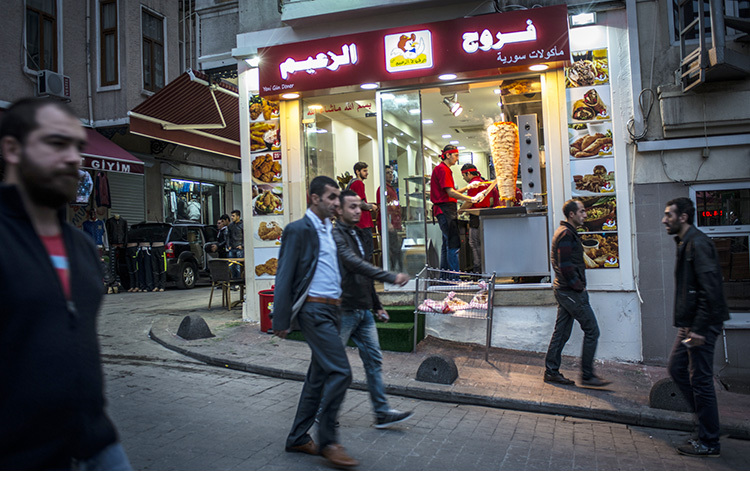 They give a window into the culture and life of a city through food. So here in New York, which is the first tour we’re doing in the United States, I make all these little stops in Corona, Jackson Heights and Elmhurst, and I try to give people an idea – as much as I can in a few hours – of what this neighborhood is like, who lives here – the idea is to give people a sense of the community here, the foods that are here. 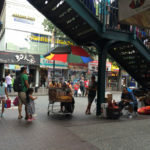 For Jackson Heights, Corona and Elmhurst, in particular, I think the biggest thing is that we’re the most diverse neighborhood in the world – we’re talking about 20 languages in a three-block radius. So, for example, we go have pan dulce in a Mexican bakery, and later we do a little bit of the Pan-Asian culinary scene in the area. 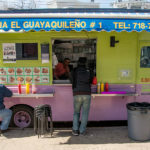 We also go to an Ecuadorian food truck, because street vendors are a very important component of our community here. Things like that. Typically the people who do the walks have traveled a little bit and have an interest in food and culture. So they’re quite open-minded, which is really nice. I sometimes have people from one neighborhood over who have never ventured into all of these little nooks and crannies. If they’re local, I love it when they ask for a card or a menu, and they make plans to come back, because that’s good for the neighborhood – it will bring back business, and people will start connecting and bursting those bubbles that segregate us. If you meet people making these foods and you learn to respect them, and you’re having this exchange, it’s an exchange of equals. It’s not, “I am coming into your neighborhood.” And I try to talk to people about what gentrification means and the problems that are facing the neighborhood. I think it’s important to dispel myths. It’s saying that we’re hard working and have the same dreams of a good life. We just need to enjoy what we all have to offer each other, whether religion, food or music. Just take the opportunity. And if you live in the United States, those opportunities are on your doorstep. If you come to New York, you don’t even have to travel the world. With me you can hit 15 places and 13-14 different countries in a four-hour walking tour. And that’s something you don’t get anywhere else. A staple cornmeal bread from the Paisa region of Colombia that Esneider grew up eating and makes to this day. 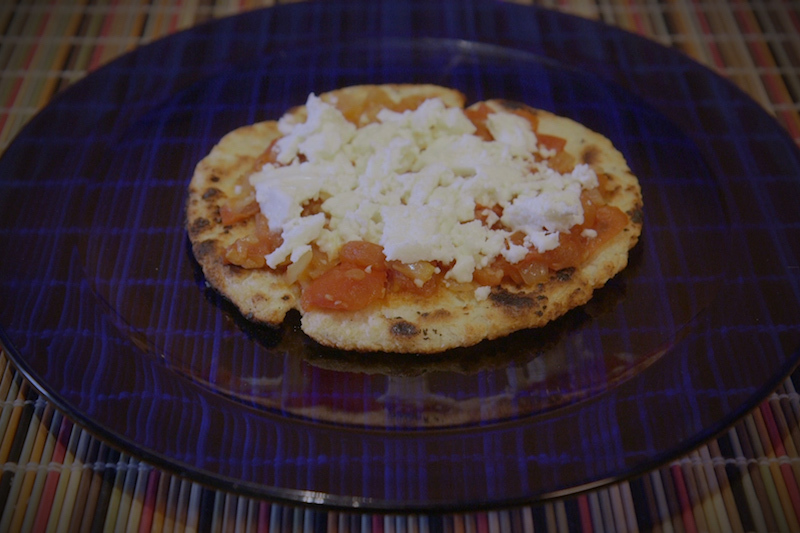 He tops his arepas with a homemade sofrito known as hogao made with onions, tomatoes and garlic. Soak 1 lb. of hominy corn overnight in bowl filled with 1 cup of warm water. The next morning, drain and simmer the soaked corn in a medium pot until it’s soft. Take soft corn kernels and grind using manual hand cranking grinder mill. Corn should have a dough-like consistency. Let corn dough sit for a minute. Preheat the callana clay plate over a medium flame. You can also use a cast iron frying pan for this purpose. Take the corn dough and hand roll into the shape of a golf ball, and flatten it into a disc using the palms of your hand to create an arepa. Make them as thick or as thin as you want to. Place the arepa onto the hot callana surface or frying pan until the bottom side becomes golden crisp. Then flip and golden crisp the other side of the arepa. This may take some time. Keep your finished arepas warm and toasty using your parilla grill on the back burner over a low flame. 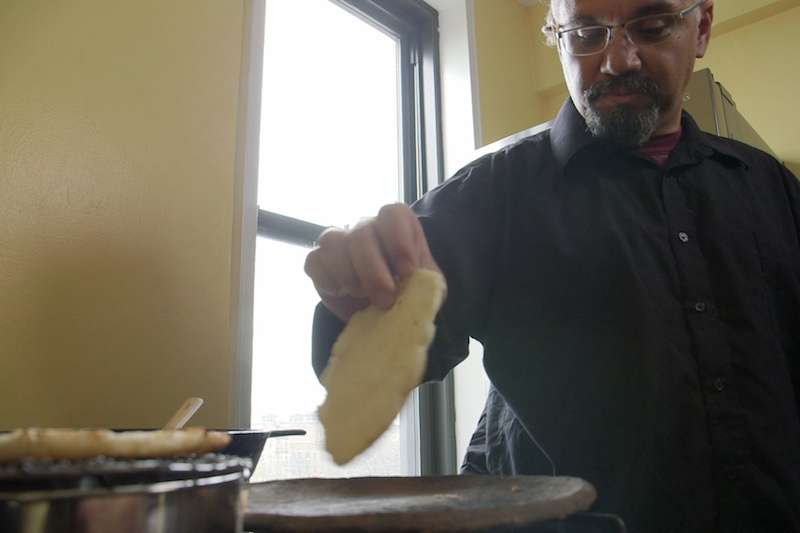 While you’re flipping arepas, make your hogao in a cast iron frying pan. Pan-fry diced onions in olive oil over medium heat until caramelized, then add and stir-fry minced garlic. Once the garlic smell hits you, throw in the tomatoes and let the juices simmer. Add salt, black pepper, and optionally, add turmeric, saffron, oregano or chipotle pepper for an extra kick. Plate your crispy arepas, and top with finished hogao. Sprinkle with shredded queso blanco cheese and enjoy. 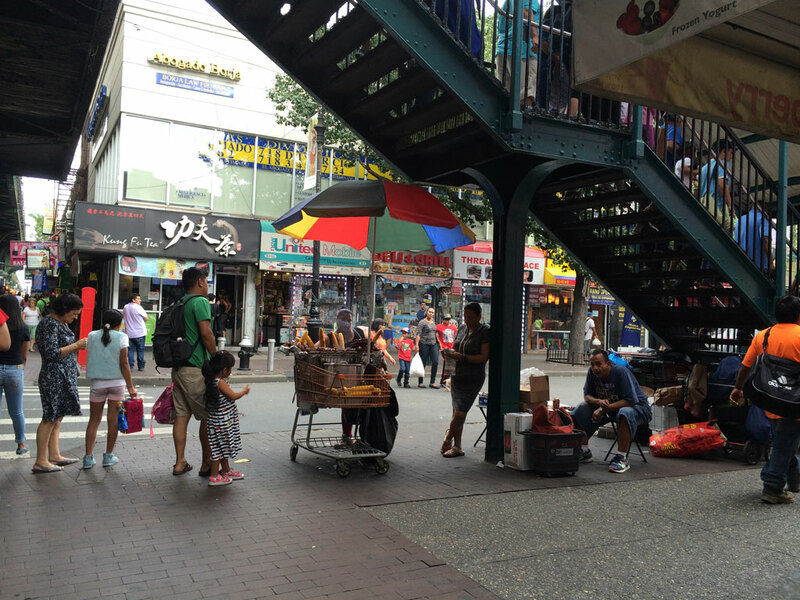 Join our culinary walk for the quintessential tastes of Queens.